I'm really sorry if you are getting fed up with me talking about £1 face mask sachets but I love a bargain and giving myself a little pamper so I feel the need to tell you all. In all seriousnes though, if you really aren't interested in these sorts of products please let me know! So Montagne Jeunesse - my one true love for a good face mask - have a new collection/name - 7th Heaven! You may have spotted these on my instagram or my recent Boots haul already and I've finally got round to giving some of them a go, wahoo. 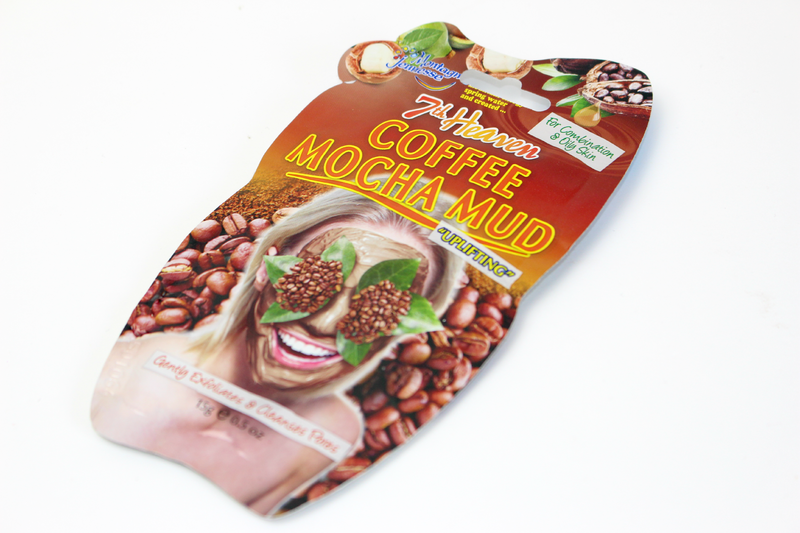 I'm not a coffee drinker but the sound of 'coffee mocha mud' sounded fab so £1 was spent and I had once again another mask to try out. Whipped together ground coffee beans, kaolin clay and macadamia oil help to lightly exfoliate the skin before giving an intense cleanse. The scent was okay, not my favourite of the MJ masks, if you love coffee you'll be a fan for sure. After applying in circular motions to fully exfoliate I let the mask set for 15 minutes. Unlike other masks I've used this set fairly quickly which I loved, I'm a bit of a werido and love the feel of a hard clay mask on my face .... okay now I sound like a creep. After the 15 minutes were up I washed it off and was left with fully rejuvenated skin. Although it felt oft, it did also feel a little dry so I'm not sure weather it was a bit much for my skin, but after applying my Liz Earle Skin Tonic and a bit of moistuiser it was fine and dandy once again. The next mask I'm going to try is the 7th Heaven Banana & Honey mask and I cannot wait. I do like these reviews, too! I have never tried these masks but just bought 3 from boots to try! I've been trying the 7th heaven peel mask but I certainly prefer the clay masks..
Really liking the idea of a coffee one.